So after a 4½ year bear market, it's time to be bullish. I've been long gold. I got longer of gold late last week, and if we get above 1,085 I will get longer. What really had my interest was the CFTC reports that came out last week indicating that "the commercials", as they're called, who are normally enormously net short, are almost net long. These are changes that are material. The fact that commercials are effectively net long and the public is abundantly out — that is a reason to be abundantly in. Commercials are always ahead of the public. The last time we saw this happen in the other direction was when the commercials got egregiously net short back in November of 2011. They're the ones that call the top, they're the ones that call the bottom, so that alone has me interested. ETF.com: Natural gas has been absolutely crushed, with prices trading at 16-year lows. Is this sustainable? Gartman: They can still produce from some of the most productive wells. They can produce natgas at $1.50/mmbtu and do it at breakeven. When you get down to these levels, people have to produce just to maintain cash flow. Is it sustainable? No. Will natgas be $2 or less two years from now? Probably not. But will it be less than $2 six months from now? Probably so. ETF.com: The other energy commodity that's in all the headlines is oil. Are you still bearish long term? And what do you think about the short-term price action with prices moving below $35 on WTI earlier this week? Gartman: [Last week] might have marked a short-term interim and reasonably important low that may allow crude to bounce back to $40 or $41 a barrel. But that's as high as they'll be able to take it. You have so much that has been drilled for and capped. EOG Resources, for example, has 300 wells that it’s drilled in the Bakken, in the Permian and in the Marcellus Shale. It’s drilled them; it’s capped them. But it's already spent the money to have them drilled. Any time you get back to $40, they'll uncap those wells because there's cash flow to be gotten. ETF.com: Do you think we'll see prices in the $20's in this down cycle? 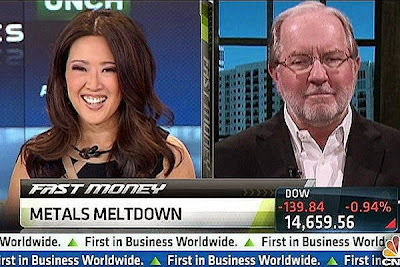 Gartman: A year from now, we could be down into the $20s; that's actually quite probable. Look at Western Canadian Select, a grade of oil that for many years tended to trade at about a $5 discount to WTI. Western Canadian Select is at $13 a barrel right now. ETF.com: Outside of energy, we’re seeing big declines in commodities in general. Is this bust in its final stages? Gartman: Except for crude oil, I think we've seen the lows as far as the grain markets are concerned. We probably are seeing the lows as far as cotton is concerned. And we've probably seen the low for the softs like sugar, cocoa, coffee, etc. The great bust is probably behind us. Keep an eye on what gold is doing. That's probably the greatest barometer of all. They keep trying to break it down. We are four years and one month into a bear market, and they keep trying to break spot gold under $1,050, but it doesn't seem to want to break under that. My suspicion is that we've seen the lows in gold also. ETF.com: Do you have an opinion on the junk bond turmoil that we're seeing? Is there a crisis brewing there? Gartman: It's going to get worse. When I write my rules of trading every year on the Friday after Thanksgiving, there are two rules out of the 18 that really are important. The most important is: Do more of that which is working, and less of that which is not. But the one that is the most fun is: There is never just one cockroach. Whenever there's a problem, there's another problem. Whenever there's another problem, there's usually another problem. When a company issues a warning on earnings, rest assured that there will be more warnings on earnings, and earnings will fall. When one company in biotech has a problem, rest assured that another is going to follow. When one steel company says its earnings are weak, rest assured that the next steel company is going to say the same thing. There's never just one cockroach; there's always more. That's happening in the junk bond market. Third Avenue was the first to make its problems known, and then put restrictions on what you can't sell. If you're an owner of Third Avenue, what are you going to do? Well, you can't sell your Third Avenue holdings, so you have to sell something else. Art Cashin has a great line that is applicable at this sort of time: "Sometimes you can't sell what you want; you have to sell what you can." ETF.com: The stock market hasn't gone anywhere this year, though we've seen a lot of volatility. You've been a bull on U.S. stocks for many years. What's your outlook now? Gartman: I'm neutral. The best thing to do is to go to the sidelines, say thank you and let other people trade. 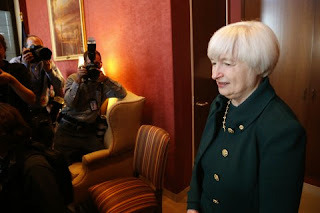 ETF.com: Do you think the Fed did the right thing by hiking interest rates? Gartman: They had no choice but to raise rates. They've signaled it so often that if they didn't, they would lose any and all remaining credibility. We'll have one or two more rate increases next year, but that's probably as much as we'll get. At best, they’ll take the fed funds rate late next year to less than 1%. That said, they should have begun raising rates two years ago. They should have already had the overnight Fed funds rate at 2.5%. They made a mistake in not doing so, and now they're stuck. ETF.com: Do you think they're behind the curve now because they haven't moved for so long? ETF.com: Are there any areas you're optimistic about? Gartman: Not really. I love owning crude oil tankers, but that's about the only thing that makes fundamental sense to me at this point. You can own tanker stocks, but other than that, there's nothing I find compelling. ETF.com: What keeps you up at night? 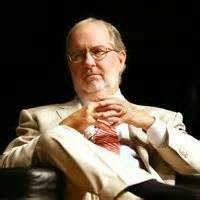 Gartman: One is geopolitical risk. We probably have enemies within the country already. Though it's nothing compared to what the Europeans have to deal with. We at least have two oceans to protect us; they don't have oceans to protect them. My other concern is about the electrical grid in the United States. I'm concerned about potential hacking into and closing down of the grid. That's my real fear. THE S&P LOOK OMINOUS:… And It’s the Best of Breed: The market is “bouncing” a bit this morning but the volume is coming in on the downside and yesterday’s rally was on terrible “internals” as the number of stocks falling dwarfed the number rising! SHARE PRICES HAVE FALLEN FOR YET ANOTHER DAY, as seven of the ten markets comprising our International Index have fallen while only three have risen and of the seven that have fallen five have fallen by more than 1% with the European markets leading the way lower. For the year-to-date, stocks in global terms are now down 512 “points” on our Index or 5.2%, while stocks here in the US are down a much less severe but still nonetheless important 1.8%. Interestingly, stocks in “Asia” have tended to lead the way lower for most of the year, with the market Sydney down 9.3%, or with stocks in Hong Kong down 9.6%... and let’s not forget the weakness in Brazil, where that market is down 10.5%. So, just as some here in the US say that this is not a stock market but a market of stocks, we say that global investing is not a global market but may be a market of specific spots around the globe. That said, we are very gravely concerned about the validity of a bull market and the harsh reality of a bear market in global terms, for one after another after another of the various markets around the world is breaking upward sloping trend lines; has topped out well below previous highs and is making new and lower lows. This we find disconcerting and this we find worthy of note. It is time once again to seek the safety of the sidelines. This is not the time to be aggressively bullish of equities but rather this is the time for… as we say here in the South… “hunkering down,” for getting smaller, for curtailing exposure. SHARE PRICES HAVE FALLEN VERY, VERY SHARPLY since we marked them here on Friday and as our old friend Doug Kass likes to say, “Risk happens fast.” Risk has indeed happened very fast as one major trend line after another in one market after another has been broken through materially and importantly. Nine of the ten markets comprising our International Index have fallen and only the market on the mainland in China has risen, with eight of those nine having fallen by more than 1% and with two of those nine having fallen by more than 1%. Our Index has lost 153 “points” since Friday or 1.6% and for the year-to-date, stocks in global terms are now down 481 “points or 4.9%, while the S&P is 48 “points” or 2.3%. On Friday we said that we were considering adding short hedges to our retirement funds in order to protect against the downside, but we failed to act; that is we did not make that an “official” recommendation and indeed we did not take any such action on our own. Clearly we should have. Clearly things were coming apart at the edges of the markets and clearly, in retrospect, we should have taken action. We’ll do so today on any minor intra-day strength that might evolve and as we write stock index futures are trading 12-13 “Big Figures” higher and that might serve as enough intra-day strength into which to sell. As long as crude is bidding for storage, as long as there's an abundance of crude — and there is an abundance of crude — as long as the Saudis continue to say we're going to defend our market share, any bounces that you get will be short term. 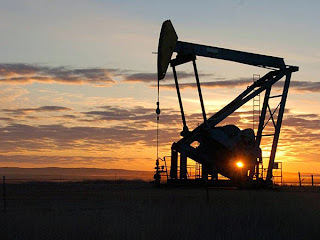 End of OPEC influence on oil prices ? OPEC, really, for all intents and purposes is now just a visit to Vienna. They've said to the free market, you price this stuff, we have lost our capability. The Germans see inflation under every rock; in a period of deflation I find it astonishing. I've been trading for 40 years, and anytime you see a four Euro move, you have to stand back in absolute awe of in the majesty of that move. It is stunning. This is something more than a bounce. This is a big turning point for the currency and the commodity markets, If you can buy grains, gold and cotton lower you probably should. What you saw Thursday is probably supportive of gold for the next few months. 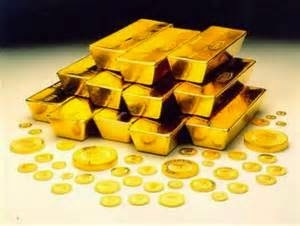 Own gold in Yen terms, that's the trade. There's no doubt she's [Janet Yellen] going to raise. But the question is how aggressive she will be at the turn of the year. If you don't believe consumers are going to shut down spending, at least at the margins, you're naive. Of course they are. Even down in Virginia, where I live, you can sense that people are very disconcerted about what happened. 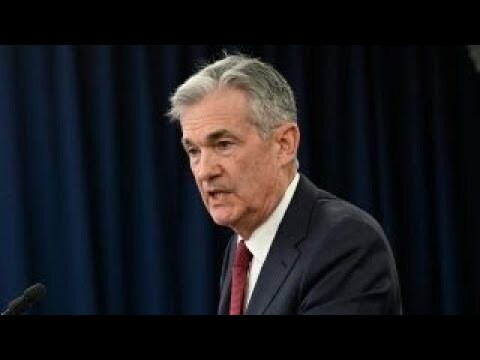 Federal Reserve Tighten or Hold ? If Euro trades under par, clearly that is a tightening for the United States. I think this puts it absolutely on Hold. Do we believe this rally? No, we do not. We refuse to believe that “terror” [Paris attacks last week] is bullish. We refuse to believe that the deaths of 129 innocent people by madmen are materially supportive of stock prices. We refuse to accept the notion that the odds of a Fed tightening are reduced modestly and that that is massively supportive of stock valuations. We refuse to believe that common sense has been cast overboard entirely, and so neutral we are and neutral we shall be. We are wise enough not to stand astride of the market and scream aloud that the market is wrong and that we are right, and so we’ll not be short, but neither shall we accept the notion that what happened in Paris on Friday is equity bullish. Sometimes it is just best to hove to the sidelines and watch; we’ve hoved! We’re watching. We’re doing fine, Canada’s doing fine, Australia’s doing fine, New Zealand’s doing fine. Europe is not going to get out of its own way for a long period of time. Japan is doomed [due to expected lower population in the longer term]. Worse for Japan, it is the most racist society the world has ever seen. If Russia has a problem, it’s that it cannot keep its men away from the bottle of vodka. I think the Dollar is very very strong. We're only in the fourth inning of a nine-inning ball game as far as the dollar is concerned. A strong dollar is going to give a reason for gold to go down. The dollar will seriously outperform gold for the foreseeable future for the simple reason that our Fed officials are erring on the side of slightly tighter monetary policies. If I had to choose between the Dollar and the Gold market, I'll choose the dollar. Still in a bull market. You can write this down, it's a bull market until it stops.They'll continue to go higher until they stop, until the trend lines are broken, and they haven't been.Those who continue to try to sell it short find themselves scrambling almost all the time. Really after all the smoke clears, what does it matter? We'll get a 25 basis point increase sometime and they'll (the Fed) probably stop for a long time after that before they raise them again. We find it hard to believe that the mere suggestion by the Federal Open Market Committee in its post-meeting communique on Friday that “liftoff” on the overnight Fed funds rate may take place at its December meeting can be responsible for this sort of egregious, serious, and now relentless selling, and we are almost of the mindset associated with the likes of the gold bugs and GATA that some malevolent “force” was behind the selling. However, we are not going to travel down that road at the moment and sit tight with our positions, believing that the continued “experiments” with QE undertaken by the Bank of Japan and the European Central Bank shall work to the detriment of their currencies and to the support of gold. THE S&P: How Ominous Is This Chart? There are still many who deny that this is a bear market, but it is that and we fear that it has a good distance to the downside yet to travel. Merely to get to “The Box” shall take the S&P to 1420-1550! Rallies are to be sold; weakness is not to be bought. CRUDE OIL PRICES ARE WEAKER OF COURSE as the trading world is in liquidation mode but we cannot and we will not be bearish of crude when the term structures move bullishly even as the price of a barrel of crude weakens. Since last Wednesday morning when crude oil prices were effectively $2/barrel higher than they are today, the averaged front month contango has held absolutely steady at $6.07. Under normal circumstance, a $2/barrel break in prices would send the contango out, and out rather sharply. More interesting is that prompt delivery WTI has actually gone to a small backwardation and we’ve not see that in quite some while. Further, since Friday, with WTI and Brent down perhaps 75/barrel weaker, the contango has narrowed by 37. This we find very, very interesting. NEW RECOMMENDATION: Perhaps we are very wrong, but with the contango in WTI narrowing even as prices weaken we think the crude has made its low and we wish to be a buyer… of November WTI this morning $44.63. We wish to risk no more than 2% on the position on a closing basis, or to $43.75. The loss of face by Volkswagen is extraordinary. The impact upon the German economy, and by extension Europe generally, shall be material. Gold has been in a phenomenal, unending, malevolent bear market since November 2011. If you have owned gold in dollar terms it has been a terrifyingly bad trade. There's a real strength in the gold market when you look at it in non-U.S. dollar terms. The difference is enormous. I think what we are seeing is that the monetary authorities have no choice. They're fighting a deflationary trend. Draghi's comments yesterday saying again he would do everything he could to fight the deflationary tendencies .... to me was the precursor for the rally in Gold. In the end, the Bank of Japan and the ECB shall have to trump the Fed's easier policies with even easier policies of their own. In the end the dollar's longer term bullish trend shall prevail. The question is, were we voters on the FOMC what would we do? And the answer is, we’d probably vote to hold rates steady but we’d use the clearest and more certain language available to us to assure everyone that rates almost certainly will move higher before the year’s end. Further, we’d make certain that everyone in the markets knows that we needn’t call a press conference to make a change in the o/n funding rate and that it can… and almost certainly will… come as a surprise when the data has forced us to act. The trade I want to do is own the Bond market and be short of the stock market. It's a spread trade. I want to be short of stocks for the next week, 2 weeks, 4 weeks, 5 weeks, I think that's the trade. I think the Fed will probably tighten before the end of the year. We enter today effectively net market neutral, holding the same position we have held wherein we are long of the same “tanker” stock and long of a small position in coal shares while “short” of derivatives and at this point we see no reason to believe that we shall be changing that position today; however, the randomness of the market’s movements makes even that statement seem disingenuous. We are indeed “Flat and nervous,” and that seem quite reasonable and rational under the circumstances. I'm trying to be as flat as I possibly can and I'm nervous. I was modestly net-short of the market. Its a momentum driven market and as Doug Kass says "a market without memory". In our retirement fund here at TGL… the only money which we manage directly… we came into yesterday’s session decently net short; not aggressively so, but not marginally so either. However, it made no difference; we were short in a rampaging bullish move and we had no choice but to rush to cover much of the net short position immediately upon the opening of trade on the NYSE. Within moments of the opening we had reduced that net short position almost entirely. Would that we had had the temerity and the foresight to have reversed our derivatives position entirely, but we are neither that insightful nor that heroic. Today, almost certainly we’ll be covering in a bit more of our derivatives position and at the same time we’ll be buying more of our single “tanker” stock to take our “net” position to one that is modestly, marginally net long. We’ve no choice. The market has spoken and it has spoken loudly. THE S&P IN MONTHLY TERMS: Trend Line Support, We Fear, Is A Very Long Way Down: This is a sobering thought, but this chart… which we included in our commentary yesterday… should give everyone a case of very real concern for support for the S&P is several hundred points below where the market closed on Friday. Strength is to be sold into. Repeating from yesterday’s commentary…which we are doing here this morning because such a large number of our readers are here in the US and Canada and likely did not see yesterday’s comments… we ask the simple question: How far down do we expect this bear market to run? Our answer is that we can imagine that the S&P might make its way all the way down toward 1600 which would simply take the market back to the trend line going back all the way to the “generational” lows in ’09. That would be nearly a 25% correction from the highs made earlier this year and within the great scheme of bear markets past this would be quite normal and would certainly not be anything out of the ordinary. We remain here at TGL (The Gartman Letter) modestly net short of the market generally and we’ve no intention of changing that focus other than to become a bit shorter still as time and market conditions demand. There is no discrimination in bear markets. They are “equal opportunity” destroyers. We have turned finding crude oil into a manufacturing operation. As more frackable energy sites are discovered, the more obsolete oil will become. We're not going to see $100 WTI again in my lifetime. I do think we are in a real bear market. The rallies that we have seen have been in the equities volume on declining volume, the breaks have been on advancing volume. I'm afraid that this is a very real bear market and I'm afraid that most people are not prepared at all for it. There's been very little public selling thats going on. I think this is very dismaying. Rallies are to be sold. End of discussion. I trade only for my own account. I'm long some tanker stocks because that is some sort of a bet on declining prices of crude oil, but at the same time I am short derivatives to get myself on balance slightly net-short of the stock market. Greece, thankfully, remains in the “wings” of the international stage and for that we are grateful for we’d had our fill of Greek related events and trading environs over the course of the past several months. However, just because Greece has moved off the center stage and away from the klieg lights does not mean that the problems there have been resolved for clearly they have not been. Elections are coming next month and wholesale realignments within the Greek Parliament are almost a certainty. We do expect that Mr. Tsipras will be the next Prime Minister, but his “party” shall be wholly different than the Syriza Party of recent vintage. He has been abandoned by his own far left-wing, many of whom have moved off to form their own independent far left wing organization, but he seems capable of forging a better working relationship with the political parties to his right and in the end shall remain the Prime Minister. Also in the end, we’ve not seen the end of Greece’s fiscal problems for certainly they’ve not been resolved even modestly. The Greek tax payer will remain as reticent about honestly paying their taxes as they’ve been previously, although with better government surveillance they will have to pay more than they’ve paid previously, they will simply “cheat” less. Too, the government will remain manifestly left- of centre and that of course means that the “austerity” forced upon Athens in recent months and years shall in the end be shunted aside. Further, Greece and Russia…two nation’s allied by religion… shall find themselves turning to each other, to the dismay of Berlin, Paris, Brussels and even Washington. 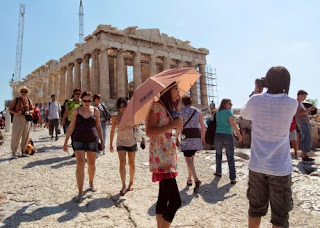 In all, the problems that were Greece and which so dominated the news in recent months and which has subsided for a while will soon come back to the fore. Count on it. As for gold, we are fascinated by the fact that Carl Icahn has begun taking an interest in the gold market by announcing that he’s taken a rather sizeable position in Freeport-McMorRan. This follows the recent disclosure that Stan Druckenmiller has recently taken up a sizeable position in gold [GLD ETF]. We are quite certain now that the lows made in US dollar denominated gold several weeks ago at $1075-$1085 are important lows that likely shall not be violated. I think this morning's action is as confusing as any as we have seen, all predicating upon whether the Fed shall or shall not move in September, whether it can or cannot move in September. And listening to the various comments from the monetary authorities in Jackson Hole Wyoming, I'm still confused as to whether they can or cannot move in September. I guess the odds have been raised somewhat more than we had seen last week, after the comments from the monetary authorities. I trade only from my own account, I'm slightly long - a little discouraged when I see the action we've seen overnight in China. But, I think I'll stay that way and my propensity shall be to be a quiet modest buyer of more on today's weakness. The “Big Economic” news is out of Japan this morning where the government has reported that the economy in the 2nd quarter fell 1.6% in annualized terms, and although this is slightly better than the -1.9% that was the consensus this is still very clearly to the dismay of Mr. Abe and the Liberal Democratic Party there in Japan. Further this is a stunning drop when compared to the rather robust 4.5% expansion of the economy in the 1st quarter of the year. We can try to spin this number in any number of manners, but the only reasonable and common-sense spin is that the government shall have to increase deficit spending and the Bank of Japan shall have to expand the supply of reserves to the system at an even greater pace. Try as we might, we cannot see this developing in any other fashion. Indeed, the only bright spot at all is that the guess-timates on the Japanese Street going into the report were worse than the number itself. However, we suspect that there were those within the Abe Administration who “leaked” that -1.9% expectation number in order to make the official report look somewhat less onerous. We know that were we at the helm there in Tokyo that is what we would have done. Worse for Japan, most of the weakness came in its export arena. Exports to other Asian nations… particularly to China… were down, and the only reasonable remedy for that situation is to allow the Japanese Yen to fall and to fall quite sharply. With China, however, already taking the lead on this question, Japan shall have to rush to the fore to weaken the Yen even more aggressively. 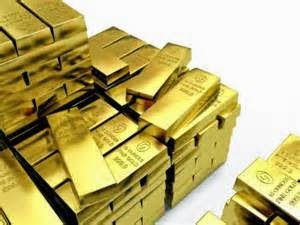 Regarding gold, we are quietly but seemingly inexorably turning away from being overtly negative of gold in US dollar terms to being at least reasonably neutral of Gold/dollars and may even find ourselves quietly positive of it. The “specs” are not bullish; indeed, they have been in recent weeks modestly net short. At the same time, the “commercials”… who are usually quite heavily net short of futures as they hedge their inventories of gold… are holding their smallest net short position in modern memory. When the “specs” are short and the “trade” is barely so it is historically unwise to be short and is historically reasonable to err bullishly. We find ourselves doing precisely that. Keeping things technically simple… and over the decades we’ve always found that “simple” trumps “complex” almost every time. 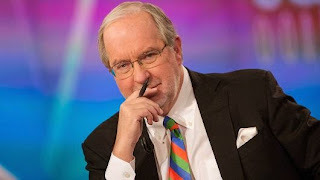 Watch the Dennis Gartman interview on CNBC for his views on the US Dollar, Fed and why the US Dollar could still go higher. I turned bullish on Friday [on Crude oil]. I had no idea we were going to be walking into a 1000 point decline on the DOW. I was wrong for one day. Am I still wrong? I'm on the sidelines. Do I think I'm going to be bullish on crude oil from this point forward? Yes.......no question..
Now comes the difficult point when a trader gets out of a trade and has to come back and buy it at a higher price than where he got stopped out at. That's the hardest thing in this business. We'll see if I have the courage and my convictions to do that. Having been bearish of crude oil for a very long while, it is time no longer to be bearish, but perhaps we were indeed a bit too early in turning bullish. Better, in hindsight, it would have been to have been on the sidelines following Friday’s weakness in the capital markets, knowing that Monday would be a disaster. Lessons are always being learned. But others took us to task a great deal more disconcertingly, calling upon us to close our business; to take up another vocation; to stop making “calls” and as one “pundit” rather comically suggested we should go have s-e-x-u-a-l relations with our self. But we know of no other perspective to take but to admit our mistakes when they happen, even if they are created by outside, short term agencies over which we have no control and which develop out of the thinnest of short term air. We have no choice but to live to fight another day and the chaos of yesterday forced that down hard upon us. Finally, this is the time for retaining what liquidity we can muster; this is not a time for courage. Get smaller; get liquid and get safe. Things turned ugly yesterday and today we fear is but a brief respite. For having been overtly and rather relentlessly ... and very publically ... bearish, we are this morning turning bullish of crude oil and we are turning so because the term structure shifts mandate that we do so. We do not make this statement lightly for this is a material shift in our view of the energy market… a very material shift. Amidst the carnage of the global stock markets this morning and even in light of the sustained bear market in crude oil, the narrowing of the contangos in Brent and WTI brings us to become a buyer of crude as noted at length above. We’ll buy a unit of crude oil, split between Brent and WTI, upon receipt of this commentary. We shall, for the moment, give these prices the latitude to move 3% against us, hoping that we can tighten that up when we return Monday. We may have seen the lows in Gold in terms of dollar. Those focusing their attention then solely upon the Renminbi/US Dollar rate shall miss what is really going on: a veritable currency war between China and Japan. This ‘war' is only now a goodly sized skirmish. It very likely shall become much, much worse over time. One by one the markets are turning downward through important moving averages signaling that the present downturn is more than a mere bout of profit taking. We do indeed find it disconcertingly bearish when the 50 day moving average falls downward through the same market's 200 day moving average: the so-called "Death Cross." We find it disconcertingly bearish when the market falls below its own 200 day moving average and we find it disconcertingly bearish when the broader moving averages are themselves turning downward. We've been unwilling to make that case [of a real Bear market] heretofore, although we feared that that was precisely what has been developing, because every time it appeared that a potential interim top was forming the markets would right themselves; dust themselves off; look around; see that the economic coast was still clear and head higher once again. But this time the market appears staggered; it is not dusting itself off, and rather than leaping to its feet to begin the fight anew it is staggering to one knee, bloodied and exhausted and looking for the referee to stop the fight. Housing starts need to rise not just above 1.0 million in annualized terms, but they need to rise toward and above 1.5 million, perhaps to 1.75 million before this decade is over, for the pent up demand for housing is enormous and decades long in the making. The Fed is very concerned about the strengthening of the U.S. dollar. I don't think they're going to be able to stop the strengthening of the U.S. dollar. When they begin the process of taking the overnight Fed funds rate up is really to me inconsequential. It's going to go up soon. Then the real question becomes, how quickly thereafter do they move it by another 50 basis points? We have a Fed that is by all accounts overtly dovish in its perspective. That number this morning gave them no reason, no reason at all to consider monetary tightening going into the next quarter. Unless suddenly you got commodity prices spiking to the upside, that PCE is going to remain under pressure and it's not going to get above 2 percent. They would like to raise rates. Everybody wants to see them raise rates but I think their propensity to do so, especially given this composition of the FOMC and the voting members, their propensity to tighten I think is very, very limited. Would that we had remembered our own admonition for that is precisely what has taken place; gold and stocks have been pitched over in China. Hence we shall watch for signs that the Chinese stock market has turned for the better as a sign that the pressure on gold will end. It is very difficult to put together a bullish case for stock prices. I think the best thing to do is to quietly go to the sidelines and allow the circumstances in Europe and ... China wend their way through and clarify themselves. We're probably not closer to a bottom. I think we're closer to the top. Two.... three weeks ago I was quite bullish on stocks. [But] now I see a lot of reasons to be at best neutral on stocks here in the United States and even slightly bearish of them. The overriding fundamental is China. I tell you to pay a great good deal of attention to what's going on in China. The government [there] is doing everything it can to try to pop up stock prices, and thus far has been utterly unsuccessful. Usually government intervention ends badly, and this does not look pretty. I would hesitate to make the leap saying that commodities are telling us that the world is going into the dinger and equities are going to sell off. I think they are two completely different classes. Its hard to like any commodities. The dollar is so strong. Wheat prices are under extreme pressure. Gold is under extreme pressure. But it's not just gold that's collapsed—copper and oil have followed suit, with crude renewing its slide back below $50 a barrel as a strong dollar casts "a pall against all commodities. Everything is under pressure due to a strong dollar. Right now they're acting in concert, one to another, the dollar being the large implication. 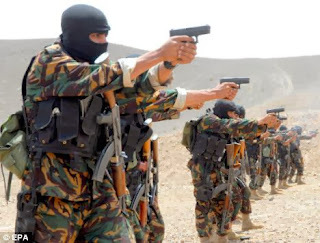 Now that the Iranians are going to be selling crude into the world market on a more aggressive manner it angers the Saudis… who are going to do everything within their power to make certain that they retain their market share. That's going to tend to put downward pressure upon crude oil price. Back in the 1970's and early 1980's, Iran was producing about 6 million barrels of crude oil per day. Now, they're back to about 4.5 million. They will get 6 million barrels over the course of the next two years. The tankers seem to be something that nobody is paying a great deal of attention to. I think that owning tankers makes sense. What I find interesting and relatively amusing is that every smart guy and every smart woman I know…keeps trying to sell it short, and they put forth wonderful ideas about why stocks are overvalued. But the stock market keeps moving higher. Denying shareholders the ability to sell their holdings when they wish to do so is the most heinous of collectivist actions, and although it has saved the market…for the moment…from falling, it has exposed itself for what it is: a dictatorship and nothing more. Beware! We still maintain that Germany's leaders want Greece to remain in both the political and the monetary unions for as an exporting nation Germany needs the euro to be, on balance, weak. A euro with Greece in it shall be… all things being otherwise equal… weaker, while a ‘Greece-less' euro would be demonstrably stronger. At this point, we’ve no idea what shall be mandated to be put forth before the deadline has come to the fore, and we are certain that neither do the Greek attendees to the talks nor do most of the Euro-zone leaders. Further, we are certain that when the 15th has come around, a new deadline will be granted; the can shall be kicked once again and confusion shall continue to reign. We wash our hands of the whole enterprise. Stay tuned; things can change… swiftly and perhaps even violently… even as an “agreement” has been reached and press conferences have already been held. More shall be. Usually we get rallies in June and July on drought conditions, but this year we're getting rallies in the grain markets on excess of rain conditions. The grain markets have taken off, interestingly enough, because there is too much water and we haven't been able to get the crops in the ground. Further, the crops that have gotten planted will likely be sending their roots less deep into the soil, putting them at risk of drier conditions in July and August. The crop that is most interesting to me is the cotton crop. No one is paying attention to it. Cotton is down $2 a pound several years ago to 65 cents a pound. That's a precipitous decline. I think we'll be surprised how much cotton acreage has been cut in California and on the high plains of Texas. If you're going to make me do something, I'd rather buy cotton than anything else. We are very seriously concerned about the veracity of the global bull market. Stocks are in real trouble here, and there's more trouble ahead. I think the euro's going to get much stronger because they're going to toss the Greeks out. That's whats going to end up happening despite the fact the German business class wants to keep the Greeks in it. I think the German public has had enough, wants them out. And suddenly the Euro becomes a valuable commodity instead of a devaluing currency. It certainly looks like the Euro has made its lows. It certainly looks like the Greeks will be tossed out. This is not a very pretty sight. Now is the time to buy the Euro. The Indian monsoons have started, dropping enormous sums of rain, which should make farmers happy. For the gold market this is great news for farmers are the bulwark of the gold market in India which remains either the first or second most important buyer of gold at any one time, vying with China for that honor. Happy Indian farmers are historically buyers of gold. They have been so for ages; they will be so again. The problem is we haven’t the faintest idea what the news is, or how it shall be delivered, or why, or when, or by whom. We know that there are meetings taking place all across the continent, and we know that each meeting may be, or may not be, important. We know that there may be and there may not be a proposal or proposals put forth by the Greek government, or that there may be, or may not be, counter-proposals put forth by the Germans, or the French or the Austrians, or by FIFA, or the USGA or any other related or non-related organisation with an axe to grind, or not. In other words, no one has any rational ideas what may or may not happen. Certainly we’ve not. All we can say at this point is that confusion reigns. One moment it is that a Greek default is imminent and that all sides have taken intransigently opposite positions and the next moment it appears that some form of reconciliation amongst he belligerents seems imminent instead. If I were the Greek prime minister I would have defaulted long ago and left because at least I then know I can get my currency back, I can devalue it, my textile industry becomes competitive, my tourism industry becomes competitive again, my shipping industry becomes competitive. Germany needs to keep Greece in the euro to keep the euro otherwise cheaper than it would be because Germany is an exporting country. Bayer needs Greece in. Thyssenkrupp needs Greece in. Daimler needs Greece in. And that's the problem. That's the confusion that people are talking about. I think the Dollar continues to get stronger. We're only in the 3rd inning of a 9-inning ball game. The Dollar can get demonstratively stronger. I think you wanna own Gold but not in Dollar terms. Gold in US dollar terms has seemed to have found support at the $1,170 - $1,180 level and although time only shall tell if that support shall prove ephemeral or material, for now suffice it to be said that we are impressed. The US dollar has come under virtual assault, falling violently in many instances while falling only materially in others, as it has lost ground relative to every other currency we mark in our morning commentary and that is a very, very rare occurrence indeed. In fact, we cannot recall it having happened before, although we cannot be certain of that fact for we’ve not the computer scanning capabilities here at TGL to prove that statement. Even if there have been one or two or even ten such instances in the past, the point here is that this is a rare occurrence indeed. Further, not only has the dollar fallen relative to all other currencies it has done so, as we’ve said, violently, having moved 2.2 Euros over the course of twenty four hours, or just over 2.0%. In the realm of forex dealing, this is several weeks’ worth of movement; it has happened in twenty four hours. Why? Because the newest member of the Board of Governors of the Federal Reserve Bank, Dr. Lael Brainard, gave a speech Tuesday to the Center for Strategic and International Studies in Washington, D.C. and focused a good deal of her attention upon the dollar, its recent strength and the implications of that strength to the US economy and to monetary policy. Turning to gold, in US dollar terms the monthly chart is making a visit into “The Box”. That is the area that marks the 50-62% retracement area with $1185 or so marking the top of the Box and with $1000 as the bottom. Retracements happen and typically the Box will identify a support area during a retracement area of a major move like we’ve seen in gold’s bull run since 2001. We will be watching this move very closely over the next several weeks. There's plenty more crude oil being found all around the world. I think it's going to be very difficult to push WTI much beyond $65 maybe $66. I think it's going to be relatively easier to get the WTI down into the high $40's or low $50's. The whole world is happy with $60 WTI [and] with $65 Brent. Producers are happy with that number—or at least reasonably happy with that number. Consumers are happy with that number. The users of crude oil are happy with that number. It wouldn't surprise me if we actually did go sideways for a protracted period of time. The US Dollar has soared following two important circumstances last Friday. Firstly, Consumer Prices rose a good deal more than had been thought likely, raising the possibility of the Fed moving to tighten monetary policy sometime in the not-too-distant future, and secondly Dr. Yellen make the boldest and clearest statement yet that the overnight fed funds rate almost certainly would be raised this year. Those events are a sign that the ground beneath the markets has shifted; that the tectonic plates are moving and that they are set to move again soon. The four installments for the IMF in June are €1.6 billion. This money will not be given and is not there to be given. Calling the austerity programs demanded of Greece and of the Greeks a program of “asphyxiation,” Mr. Voutsis made it very clear that the government under Mr. Tsipras is not prepared to push ahead with further austerity. We shall grant that Mr. Voutsis is from the Syriza Party’s very far left wing and we understand that he has no choice but to make statements such as this; but his sounds like a voice of reason when compared to people in the party. These so-called institutions in the last four months have applied a drip-feed torture on the Greek people, one of the most horrible blackmail practices in world history at the expense of the country. The Prime Minister, Mr. Tsipras, has tried to walk a path on the Left between men such as Mr. Voutsis and Mr. Lafazanis and the Brussels Group, but his path is becoming more and more tenuous in nature and the default clock is ticking ever louder. I think things are changing in China for the better, not the worse. It still needs to go down just a tad more. Give prices another 3, 4, 5 percent on the downside, take me back close to the upward sloping trend line and, you betcha, I'll be a buyer. I think President Xi is really doing all of the right things, attacking corruption as he should be doing. And the monetary authorities are still going to be expansionary. The trend is from the lower left to the upper right. As the saying "Don't fight the fed"... dont fight the people's bank of China. Once the Dollar begins a bull move it usually lasts for several years and I think we are only two years in this move. The dollar has risen to and for a short while pushed through 121.00 Yen/dollar and the EUR has fallen to and had remained for a while through 1.1100. However, not uncommonly, the dollar has stopped as these new “Big Figures” loom large, but the trends are clear: money is moving firstly to the US dollar and secondly it is moving to the “English speaking” currencies and it shall continue to do so for quite some long while into the future. Regarding Greece, we shall firstly state once again that although the German people have no respect for their Greek “cousins,” seeing them as shiftless, lazy, un-creditworthy freeloaders (and this really is not a too-harsh view of how the German populace actually does feel toward their Greek compatriots; all one has to do is ask Mr. and Mrs. Schmidt of Germany and stand back and wait for the resulting tide of vitriol for when the bounds of political correctness are withdrawn the truest, but worst, feeling surface), the German political and industrial “cognoscenti” know that Germany needs to keep Greece in the EUR-zone in order to keep the € weaker than it would be otherwise. They know this because they also know that Germany’s economic fortunes lie with Germany’s export trade, and exporters shall always choose to err in favour of a weaker rather than a stronger currency. Hence, despite the citizenry’s antipathy toward Greece, the “cognoscenti” will do what they must to keep Greece in the EUR-zone, and in the end will allow for any and all methods of extending Greek debts. Thus, these series of massive debt maturities that shall be coming one after another after another on through the summer shall always go to the 11th hour and 59th minute, and there will be great wailing and gnashing of teeth on the part of the Greek and German authorities, but in the end these debts will be extended and Greece will remain within the EUR. Again, we shall say that were we Greek we would long ago have dropped out of the single currency; would have stood down from these debt maturities; would have defaulted on those debts and would have taken up our old drachma in order to give our industries the ability to be competitive in the world market through devaluation. But the choice…at least for the moment… is not Athens’ to make. The choice is being made in Berlin, in Dusseldorf, in Munich. The choice is being made by ThyssenKrupp; by Bayer; by Daimler; by Volkswagen; by Siemens, by the BMW Group and by BASF. And so the various side-shows continue. One after another of European, German and Greek officials shall take the centre stage for a few moments. We shall see the markets vacillate between hope and despair, but in the end at the 59th second of the 59th minute of the 11th hour of each debt maturity some means shall be found to keep Greece in the EUR and in the end the EUR will continue to weaken.